CardonArt is an artists’ and production agency based in Austria. It was founded in 2005 by Colombian soprano Yalilé Cardona-Alonso. As a former performer and current manager, Yalilé Cardona-Alonso has a comprehensive understanding of what both artists and promoters wish to offer and receive. Her expert services go beyond artists’ management and range from creating a project to choosing the ideal artistic team and completing the final product with all strategies. CardonArt has focused on connecting central Europe and Latin America, and is now extending to new territories. Our first goal is to offer new and original programs of the highest artistic standard to audiences. 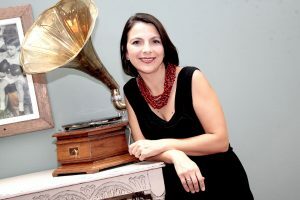 Yalilé Cardona-Alonso studied Communication and Journalism and subsequently Music (singing) at Universidad Javeriana in Bogotá, where she graduated with distinction. Further studies took her to the Royal College of Music in London, where she won the “Early Music Prize” of the Century Fund. Yalilé Cardona-Alonso has been seen on the opera stage in the roles of Dido and Belinda (Dido and Aeneas), Susanna (Le Nozze di Figaro), Helena (A Midsummer Night’s Dream), Venus (Venus & Adonis), Gretel (Hänsel & Gretel) as well as Tina (Flight). She also completed a master’s degree in Cultural Management at the University of Music and Performing Arts in Vienna, also with distinction. She has been commited to this profession since 2005.